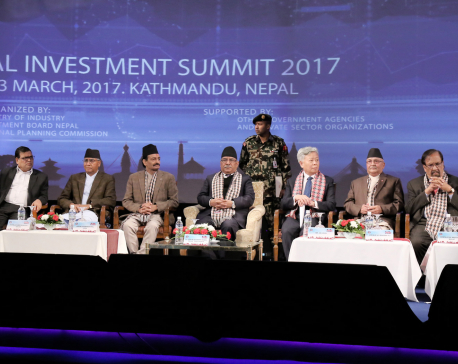 KATHMANDU, Jan 23: Stating that the prolonged political transition in the country was over with the successful promulgation of a democratic constitution, Prime Minister KP Oli has urged investors from around the world to pour in their investment in Nepal. 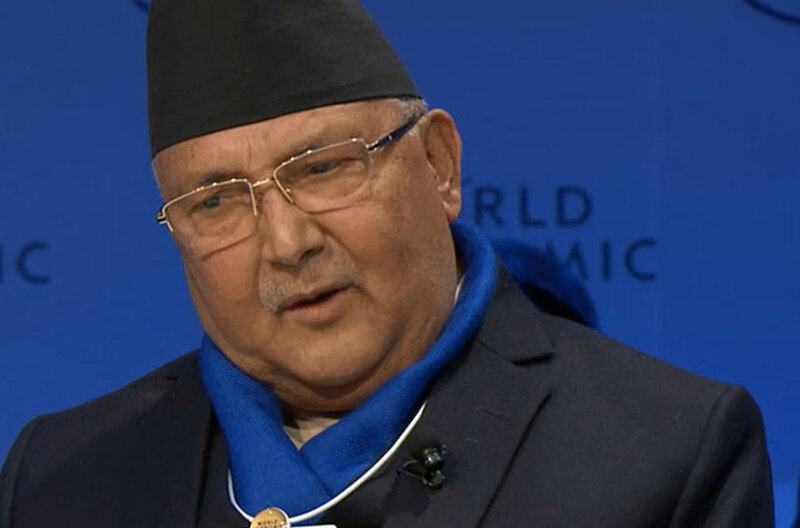 Addressing the World Economic Forum in Davos, Switzerland as a panelist on Tuesday, Prime Minister Oli said although political instability in the past had affected foreign investment, formation of a stable government that has come up with slew of policy measures to promote foreign direct investment has transformed Nepal as one of the best destinations for investment. Prime Minister Oli said that his government had focused on creating employment opportunities for youths who are currently working in various Gulf countries, Malaysia and others nations. “We are giving importance to private and cooperative sectors as well to create job opportunities for youths. The government is also providing formal education to children and vocational educations for youths,” the prime minister said. 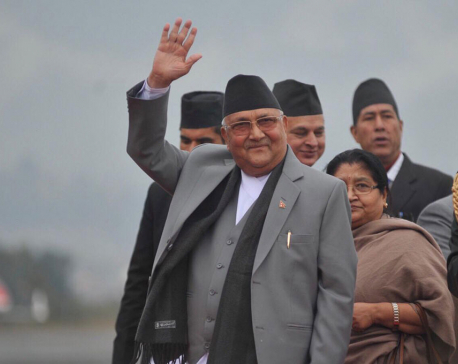 With enhanced connectivity including the proposed railway with both India and China, Prime Minister Oli said his government had laid all the necessary foundations to transform Nepal as one of the fastest growing countries in the world within a few years. He said the goal of the government to achieve ‘Prosperous Nepal and Happy Nepali’ was within the reach given that Nepal has abundant natural resources, demographic dividend and improved connectivity with both India and China. 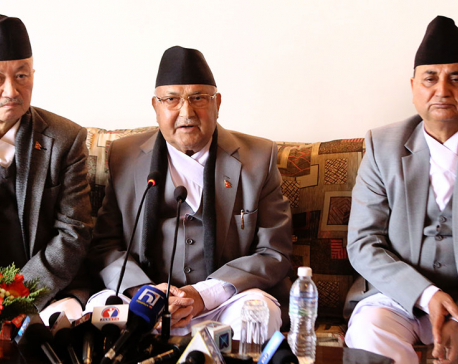 Prime Minister Oli said that his government had given high priority to environmental conservation while carrying out development works. On the occasion, Prime Minister Oli said that Nepal has given emphasis on regional integration and is trying its best to promote SAARC and BIMSTEC. While Nepal hosted the fourth BIMSTEC Summit last year, Nepal as current chair of SAARC is actively working to see SAARC process accelerated. “It is important for us to think about developing regional cooperation and regional trade. For that, we need to create such a situation where equality, justice and win-win situation is ensured for all,” he said.